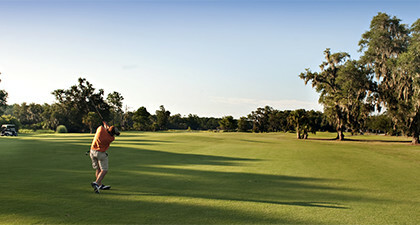 Located on the picturesque site of the historical Lexington Plantation along the banks of Wagner Creek, Dunes West Golf & River Club is one of Charleston’s most elegant and most popular settings for events of all kinds. 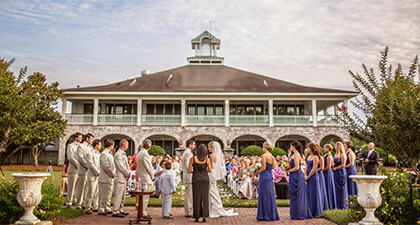 From the avenue of arching live oaks that lead to the antebellum-style clubhouse to the spectacular water views to the gracious yet meticulous service, Dunes West is truly one of the South’s finest clubs and the perfect backdrop for any event or celebration. It’s no wonder then that Dunes West is a perennial favorite for brides thanks to its unrivaled beauty and experienced event staff including a staff of culinary artists serving some of the area’s best cuisine. 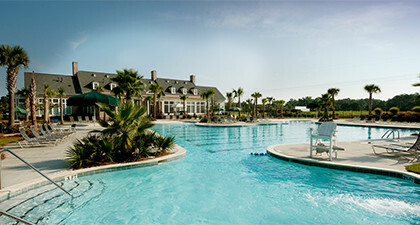 Ready to Start Planning Your Event? Contact Us Today!